I hate to say it but I found this book tough going. I think that perhaps my expectations were raised because I love all of Marian Keyes’s other novels and so I was waiting with baited breath for this novel to come out, but when I began to read, I found myself distracted rather than consumed by what was on the pages. I finally discovered that I preferred the flash backs in the book rather than the storyline which was running along in the present day, and so this is how I managed to get all the way to the end, and those parts of the book I did actually find enjoyable. The story involves the youngest member of the Walsh Family, Helen, and her work as a private investigator. We know that Helen has struggled with depression in the past, and so it centres on her overcoming this depression and her trying to find out what mystery did actually take place to the resident of Mercy Close! I really enjoyed getting into the head of Helen, and living the story through her own thoughts and feelings, although at times I found myself dragged under b y her black mood, but this simply shows what a brilliant writer Keyes is in that she was able to do that to me. The mystery aspect of the book is also very well written and I am sure that this will appeal to those outside of Marian’s usual audience, therefore allowing more readers to access this book than just those who were fans of her previous writing. I’m not a massive fan of mystery or crime within novels and so I found myself getting a bit lost during the parts to do with the disappearance. It was a bit like everyone knew something that I didn’t and it made me feel alienated, whereas the parts where Helen was having flashbacks to the time during the height of her depression, I felt included, like I was inside her head, getting to know her through her thoughts and feelings. 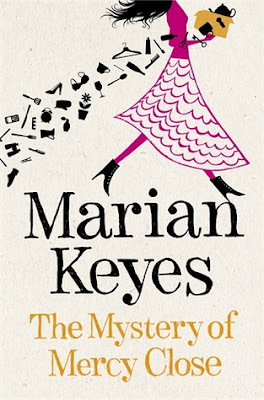 I am sure that fans of Marian Keyes will enjoy the catch up with the Walsh family, and the Irish references that are included. As I have mentioned, I think that this dabble into mystery writing will bring her readers who have not previously accessed her novels. This book wasn’t for me, however, I prefer to be drawn into a story right from the start, not alienated and confused by some, skipping through these to get to others. A bit of a let-down.